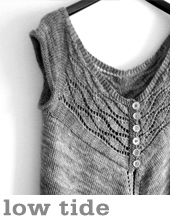 I knew when I first knit the wee size of the Raindrops sweater I was destined to knit another. It just isn’t the sort of thing you can knit just once! 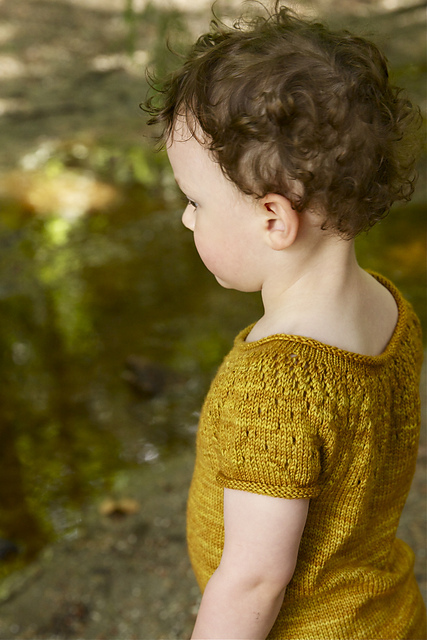 I hummed and hawed for a few weeks, poking through an oversized stash of sock yarn, pondering whether it would be one for me or one for Hunter, or maybe just a little one for a baby shower… Back and forth I went. What made me decide to cast on another Hunter sized version was an obsession with Sweet Fiber’s colour, Spanish Coin. I knit the Wheat Scarf in Spanish Coin and I was instantly hooked! 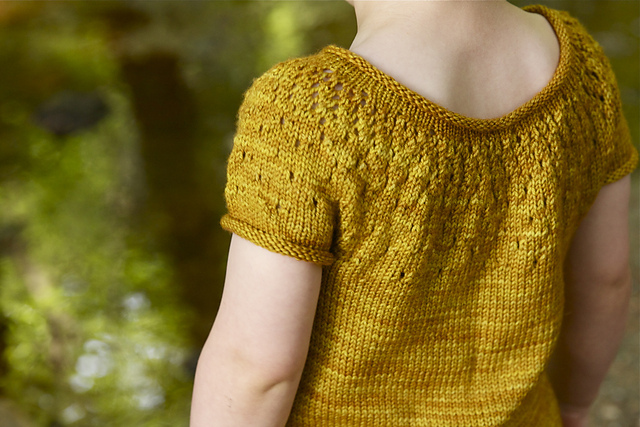 I still have dreams of knitting myself a sweater in the Cashmerino Worsted in that golden beauty (soon, soon). When I was at 88 Stitches the other day there was one perfect skein on the shelf so I snapped it up and vowed to start on a summery sweater for Hunter. 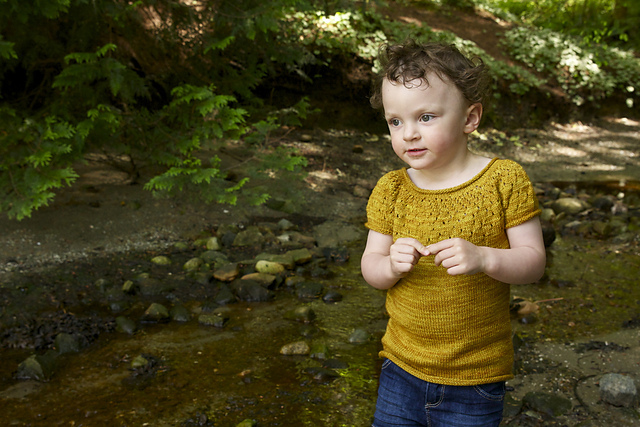 How great is a kiddie sweater that can be done in 1 skein of sock yarn?! Hunter’s latest favorite thing is telling people how ‘nice’ things are. 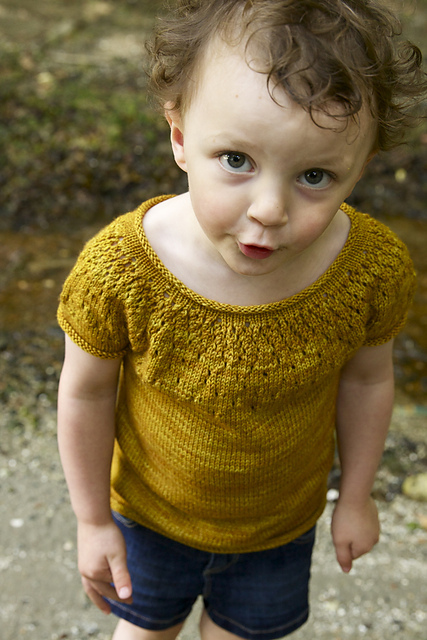 ‘Oooh, mummy, that sweater (sounds like fwetter) so nice’ she told me as I was knitting. So I cast on and knit on it a bit at Knit in Public Day a few weeks ago. I knit a bit more during the week and before I knew it, BAM, sweater accomplished! It helps that I eliminated the sleeves (I just picked them up, knit a few rounds on the smaller needles and bound off to get that rolled edge). Hunter was wearing it proudly in the park on Father’s Day. 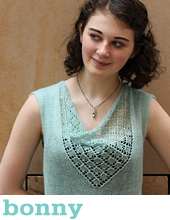 What will you knit your Raindrops in? 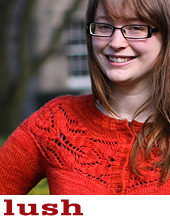 I love this FO! I love the color and how summer-y this pattern looks!